The best way to start a conversation with a girl is to be yourself, of course. But what happens when being yourself means being a shy guy? You know exactly what you want to say in your mind, but when you open your mouth nothing... and I mean nothing, comes out. If it does, then it's totally weird and the moment and the girl is gone. In that case, who wants to move on? Yeah, you just want to crawl back into the bubble you feel safe and secure in. Don't worry, we have some ideas you can use to break the ice and start a conversation with a girl. This word is not so difficult to remember. You practice it almost every day and you should be ready for most responses. Really, women want someone to be real with them. They are tired of the corny pick up lines and just want a guy to have a sincere conversation with. You'll be surprised where “Hello, how are you doing?” takes you. No matter where you go, you'll spot someone who's unusual or something worth talking about. Use it to your advantage! When you're sitting in the waiting room and the news is on, you can talk about one event that stands out. If you're in Walmart, goodness knows there will be someone dressed inappropriately and not only will it spark conversation, but laughter, too. Don't miss the opportunity to take a snapshot to share on social media. Okay, maybe not, but... they have to know somebody will. Know a Funny or Interesting Story? Again, laughter is the real key to a girl's heart, so turn it. However, you must make sure the story you're about to tell is actually funny and that you can tell the story right, otherwise, it will just backfire on you. Don't make anyone or a group of people look bad, because the joke could be misinterpreted. It may be better if the story and punchline was about you. Some people have the gift of storytelling, but it can be learned. Remember, practice makes perfect. Who doesn't love to win a bet? In order to start a conversation with a girl, you can make her a bet. This idea is best when you can continue to keep the bet going for a little while. The bet has to be as interesting as the prize for her to want to play the game. Find out what she likes and make the prize all about her if she wins. If she loses, then the two of you have to do what you like. Again, this is a win-win scenario. Whomever wins, you guys get to spend more time with each other. Since the election, there's been plenty to talk about and obviously, numerous ideas to tweet about. While you may not want to get deep into politics, there are other celebrities in the news worth gossiping about. Who are they and what are they doing? Do you personally know anyone like the celebrities in question? Make a joke about them, nonetheless, because laughter is always contagious and an excellent way to start a conversation with a girl. Getting a girl's opinion about something is a sure conversation starter, especially when you're surrounded by a group of women. Of course, women know fashion and tend to talk about it a lot, so ask about your outfit or get their opinions on what to wear to a particular function. If the girl you're interested in seems eager, then ask her to go shopping with you to get her expert opinion. Now, not only have you started a conversation with a girl, but you have a date! Go 'head, it's your birthday! You've killed two birds with one stone. How awesome is that? I have to admit this is a little deceptive, but it could work. You and a pal go over to where she is and start a conversation. Now this conversation has to be so deep and interesting, she'll want to join in. She should be compelled to know what it is you guys are talking about. Once she does this, introduce yourself to her, but make sure your friend leaves the conversation. Have You Got a Game? Word games are fun to play and if you can lock her into playing with you, the conversation can go on for a long time. Think of a game the two of you can easily play while at the bar or eatery. If you can't think of one, Google games for two and you can do this after you excuse yourself to the bathroom. You don't want to be rude and be on the phone while attempting to have a conversation with a girl. That can be a huge turn off for her, which is the exact opposite of what you're trying to accomplish. If you happen to be in a social setting and order drinks next to the girl sitting there, you realize you want to meet her. 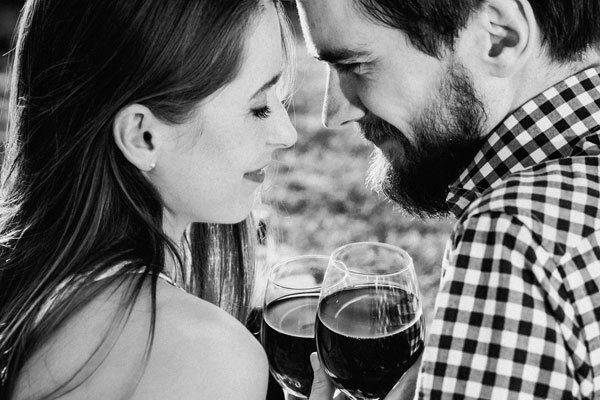 One way to start a conversation with a girl is to raise your glass and say “cheers.” I promise, it will get her to smile and then you can comment on how beautiful her smile is. This can actually turn into a full blown conversation if you can think of more things to talk about. Who knows, she may keep it going, so you don't have to rattle your brain for the next sentence. Wonderful, right? Who was that guy who failed miserably at getting her attention? Did you catch the expression on her face or on his face? Geezus, what a loser, huh? Ask her about it, tell her you saw her reaction and watch her laugh about the situation. Buy her a drink if you're in that kind of setting. She will likely tell you how he approached her wrongly and that's a great way for you to know what not to do. Mention his body language and his fashion style, but be playful about it. You don't want to come off as being arrogant or offensive. An ice breaker is simply a conversation starter. Once it's over, you'll need more topics to discuss. According to the research made by Flirt.com for the most part ice breakers really work and are one of the best ways to start a conversation both online and offline. So if you are into online dating you can easily use them. Here are some ideas to keep the lines of communication open. Tell me your middle name and ask why was she named it. Who would you meet if you could anyone in the world? Does she have a favorite day of the week and why? What does she do to unwind? Does she favor spending or saving? If she won millions in the lotto, how would she spend it? What did she dream of becoming as a child? What gets her into trouble? Has she ever been in love? Does she believe in love at first sight? Is her preference long hair, short hair... don't care? What are some of the qualities she looks for in a mate? Is it more important to rich or more important to have love? All of those questions will tell you a lot about your potential date and mate. They are some of the best ways to start a conversation with a girl. However, you want to pay close attention to her body language when she answers. Is she smiling or is she sad or becoming irritated? You don't want to ask all of the questions in one setting, but do try and find out the most important ones. Good luck to you and if you have any stories you'd like to share, please contact me below. About the Author: Alex Reddle – online dating specialist, chief editor of Flirt.com Blog. Got his Psychological degree in Kent State University. Well-versed in subjects of interpersonal relationships, love, finding a partner. Studies human behavior and ways of communication. Alex has been featured at such resources as Romper, TheList, Bustle, Insider, Urban Dater, Socialeconomics, Brit+Co and many others.